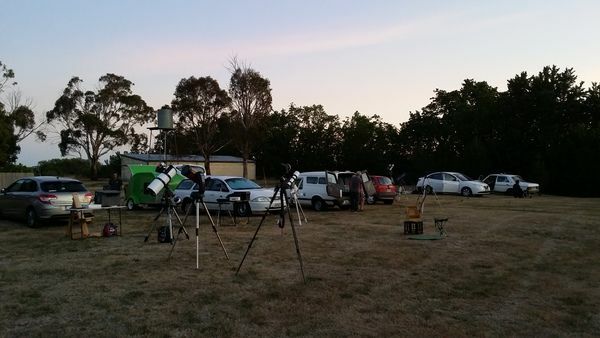 The Northern Valleys Astronomy Group forms the Northern Tasmanian group of the Society and draws members from around the Launceston area and beyond. Members and non-members are welcome from all over the State as well as visitors from interstate. Our viewing night schedule can be easily accessed here and on our Facebook page. You can also enjoy this short time-lapse video of one of our overnight stays at Clarendon. 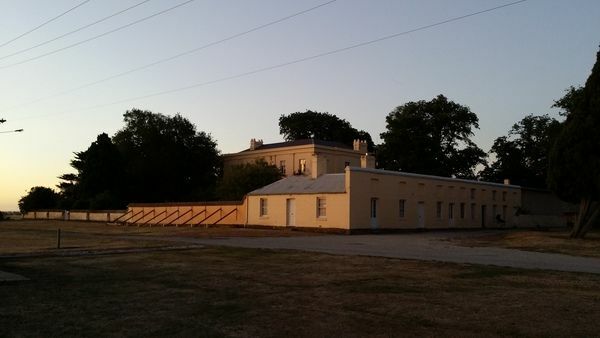 As a group, we primarily gather once a month at the Clarendon National Trust Property near Evandale, where we enjoy great dark sky views of the southern skies. Generally, all members of the public and all ages are welcome to attend viewing nights with regular attendees being encouraged to become Society members. Other venues include Pitcher Parade Park at Blackstone Heights nearer Launceston, and Merv Millward's property on the outskirts of Georgetown. 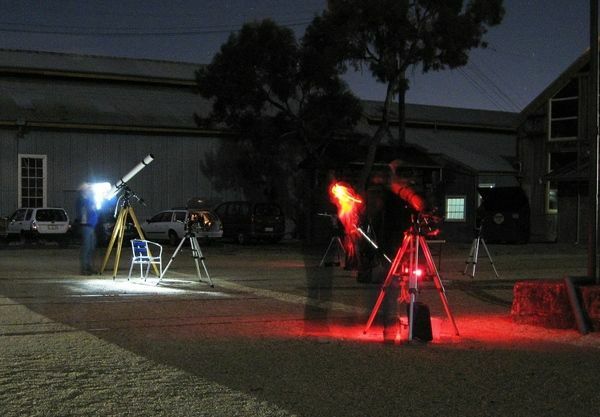 We encourage all ranges of equipment and abilities from naked eye observation and binoculars, observation with Newtonian, refractor and Cassegrain-type telescopes and astrophotography of planetary and deep sky objects using mechanical mounts. The Society's observatory is located within the University of Tasmania’s Radio Observatory site at Mt. Pleasant between Cambridge and Richmond.